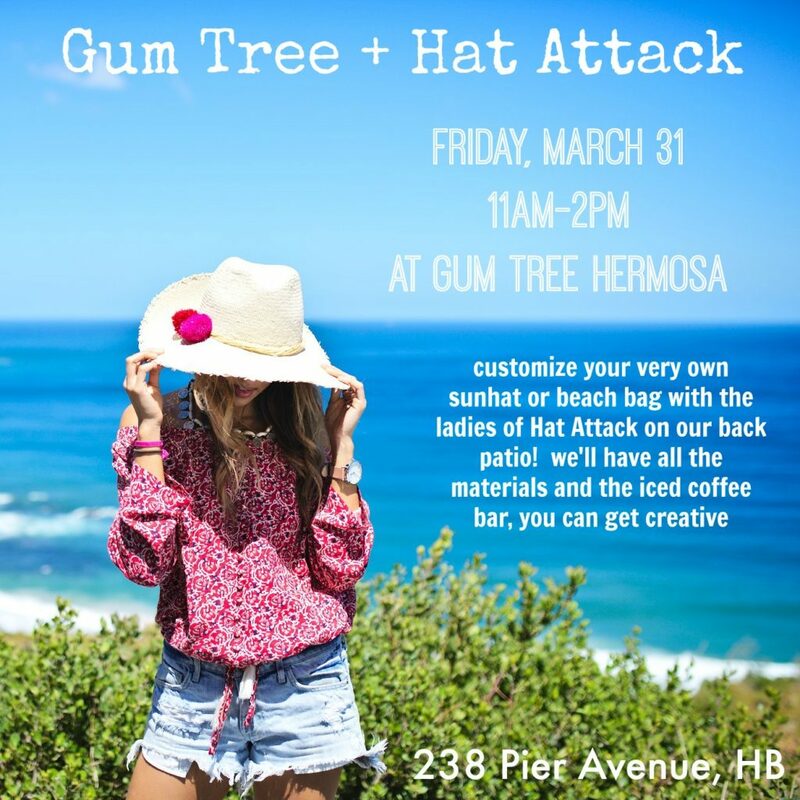 The ladies of Hat Attack are coming all the way from New York for this super fun DIY event. They’re bringing hats and beach bags and all kinds of trims, you come with your creativity and leave with a custom piece of your very own! Hats and Bags are $92 each, no matter how many tassels, ribbons or pom poms you add!